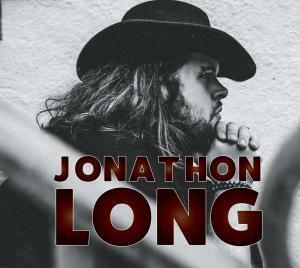 Jonathon Long's eponymous album drops via Wild Heart Records on September 7th. What a crawfish boil is to the taste buds, the soon to be released eponymous album from Jonathon Long is to the ear-holes. The Baton Rouge bluesman has dropped “Boogie” from his name, shifted genres, and picked up a brand new label, Wild Heart Records. If Wild Heart sounds familiar, it should. It’s the title of the critically acclaimed 2015 album from Samantha Fish. Just so you’re up to speed, on top of her feverish tour schedule, her relocation from the Midwest to NOLA, and her current title of Contemporary Female Blues Artist of the Year, Fish has joined forces with Rueben Williams to found Wild Heart Records. The very first release is Jonathon Long, which Fish produced and upon which she appears as a guest artist. A working musician before he was old enough to hold a learner’s permit, Long has been growing his fan base non-stop. Playing festivals the world over, including his yearly spot at the New Orleans Jazz & Heritage Festival has honed his skills to a razor’s edge. On this new record, he stretches his legs as a lyricist, penning 10 of the 11 songs on the album. 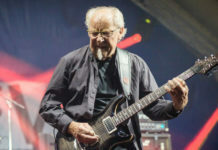 As a spiritual man, he also shares his philosophies replacing a pulpit with his trademark red Gibson. It all kicks off with “Bury Me.” A song about a simple life, written by a simple man, this opener grabbed our attention from the outset. Not too fast, not too slow, but sonically powerful with Long’s vocals punctuating each point. Samantha brings her signature guitar work into play on this one as well. Long is backed by Julian Civello (drums), Chris Roberts (bass), and Phil Breen (keyboards). This foursome breaks through the Louisiana mud like a moss-covered Phoenix bringing their truth with them. “Shine Your Love,” asks for help from a personal angel while the soulful, funky “That’s When I Knew,” reminds us that sometimes, love finds us by accident. Shades of Americana come through on “The Light,” with some great fiddle provided by Michael Harvey. 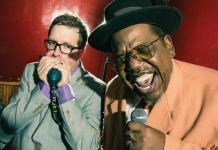 “Living the Blues,” isn’t a standard blues sounding song, but the lyrics are all about it, breaking down what gives everyone the blues in the 21st Century. Then comes “Natural Girl,” a rockin’ wake up ode to a girl with no makeup. If this one doesn’t get you on your feet, it’s time to call 9-1-1. The only song that Long didn’t write for this project is “The River.” Another Fish cohort, Kenny Tudrick of the Detroit Cobras composed this one, but it fits hand in glove with the vibe of the record. Samantha’s guitar and soaring vocals add the cherry to the top of this slow-rising treat. One of our favorites comes in the #8 spot with “Pour Another Drink.” A torchy, early 20th-century sounding song with an unadulterated masculine vocal, it took us very pleasantly by surprise. 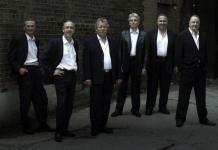 Imagine a band of Bayou State gypsies on stage at the Cotton Club. Having a hard time with that? We don’t blame you, but when you hear the song, it’ll all become gloriously clear. From rockers like “This Road,” to the 70s pop/soul sound of “Where Love Went Wrong,” this is Long’s most eclectic venture to date. While blues, soul, and Americana artists are bending genres like never before, Jonathan does it with ease and skill. The closer is the hard-driving “Pray For Me.” Once again, straight to the point lyrically, the song has touches of a little further East, and a few decades ago. “Pray For Me” could easily have been on any Allman Brothers setlist, but again shows the dexterity of Jonathon Long, right down to the crickets. 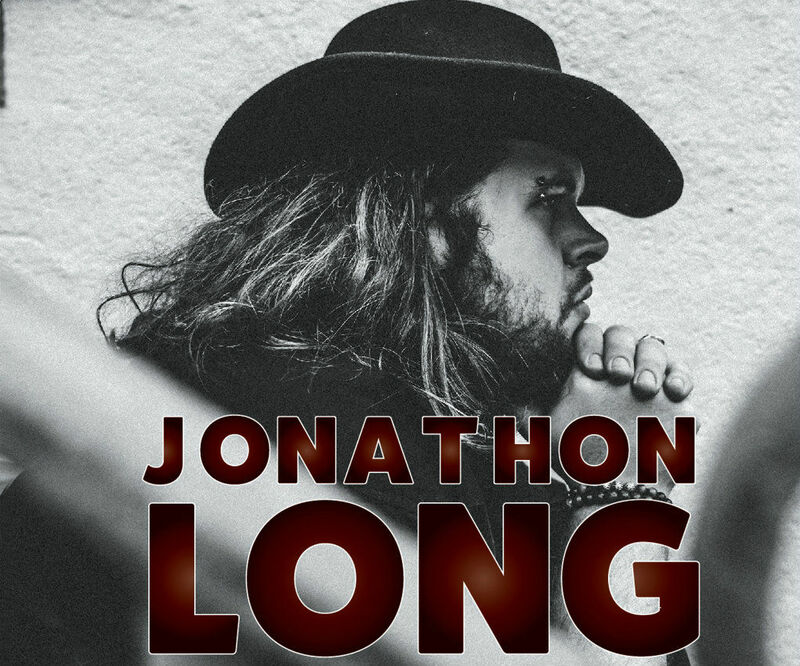 For those who love their blues with a Louisiana flavor, a hint of Southern Rock, and a whole lot of originality, you simply must add Jonathon Long to your collection. Jonathon has stepped out of his comfort zone and offered a prized album. It’s also proof positive that Samantha Fish’ picker-outer is dead on point.